There’s a common assumption in our modern western world that there is one shared reality, that can be factually verified through time and by people all around the world. This assumption may seem so obvious to be not worth mentioning–except that it’s quite possible that it’s untrue. One of the things I’ve been tracking over the past 17 years by collecting first-hand field reports of reality shifts and alternate histories, is that just as we would likely all agree that there are many possible futures each of us might encounter, there are apparently also many possible pasts. Recent news reports of newly popularized memes such as the so-called “Mandela Effect” reported by Fiona Broome in 2010 and the “Berenstein Bears” reported by a blogger named Reece in 2012 are but two indicators that the public is becoming aware that history doesn’t always remain the same. Throughout all of recorded western history, any time that people heard of someone having died, only to later find out they were actually still alive, we tended to consider it something akin to simple mistaken identity, such as American author Mark Twain once reported when writing in 1897 in a note to Frank Marshall White, “the report of my death was an exaggeration.” Most people interpreted discussions about someone supposedly having died and later recognized as alive as some kind of confusion, or mistake. Yet according to my research and surveys as reported in my book, Quantum Jumps, 27% out of 567 survey respondents reported that yes, they have “seen dead people and animals alive again.” If so many people are now reporting they’ve experienced this, what are the earliest documented cases of this phenomenon? In a small sample size survey conducted in 2005, I reported that nine celebrities at that time were noted for having been reported dead by reputable sources, only to subsequently be reported very much alive again. In a note we might find interesting now, but that didn’t seem surprising at the time, nobody in the summer of 2005 mentioned Nelson Mandela. Back in July 2005, the celebrity heading up the “Alive Again” list was Bob Keeshan, an American actor who played a TV character known as Captain Kangaroo. A whopping 26% of those surveyed at that time recalled that Bob Keeshan had died before 2004, and then died again in January 2004. The next most-often remembered “alive again” (aka “Mandela Effect”) celebrities back in 2005 included: Jane Goodall (15%), Larry Hagman (15%), Bob Hope (10%), Jack Palance (10%), Bea Arthur (5%), Ed Asner (5%), Walter Cronkite (5%), and Mariel Hemingway (5%). Where was Nelson Mandela back in 2005? We might well ask, “Why didn’t anyone mention Nelson Mandela being alive again back in 2005 when that first survey was conducted?” which is an excellent question. At that point in time in 2005, neither I nor anyone I surveyed made a point to mention remembering what many of us would later recall–that Nelson Mandela had died many years earlier than his currently recorded official date of death of December 5, 2013. Fiona Broome’s first mention of the Mandela Effect was still five years in the future, and he was not yet on anyone’s radar–including those who were starting to talk about the “Alive Again” phenomenon. You might think perhaps Nelson Mandela was “lying low” while alive back in 2005, and not making major media appearances–yet according to current history, we find Mandela got huge media coverage in February 2005 when he came out of retirement from public life to give a speech in Trafalgar Square to 20,000 people. Mandela called for action to end ‘unnatural poverty’ in a speech covered by BBC News as well as most all of the major news networks. This is a speech I have no recollection of, as one might expect from someone like me who’d thought up until a few years ago that Nelson Mandela had died decades earlier. So while our current history shows that Mandela remained politically active and publicly visible off and on over the past decades, I’ve been unaware of all these activities unless I look them up and read about them and watch them now–which for me is for the first time. About half of those responding to the Bolton News story remembered the dinosaur that now has no official historical record of ever having existed at the museum, and the other half don’t remember any such thing. What I’ve been documenting since 1999 are first-hand reports from people noticing changes in reality all around the world. What I’ve noticed over the years is that these reports of people and things appearing, disappearing, transforming and transporting are the very types of phenomena we’d expect to see on the quantum / microscopic scale of the very, very small–yet they’re happening on a grand scale. People are noticing items such as their socks and keys moving around as if by themselves. People are noticing they remember events differently than siblings and friends. And sometimes people notice they’re disagreeing about what happened moments earlier. These realizations come forth at the very point in time that humanity enters the new Quantum Age, in which most every field in science now has the word “quantum” in front, including: Quantum Biology, Quantum Cognition, Quantum Cosmology and Quantum Statistics. While quantum logic and phenomena has long been shunted aside as irrelevant (aside from creating nuclear reactors or nuclear weapons), we’re now at the beginning of the “quantum invasion,” as inventors, engineers and scientists strive to be first to build quantum computers. Amidst this new gold rush of our times, scientists are finding that people such as Quantum Biologist Johnjoe McFadden and Quantum Cognitive Scientist Jerome Busemeyer who I’ve featured on my radio show, Living the Quantum Dream, are leading the way in demonstrating how quantum phenomena are occurring all around us in Nature in our everyday lives. What is becoming increasingly clear is that as we seek a “theory of everything” unifying the classical and quantum realms, it seems to be finding us. And many of the seemingly bizarre properties of quantum physics appear to be everywhere around and inside us, including occasionally making surprise appearances where we least expect them. Enjoying lunch with friends in San Francisco the other day, our conversation turned to the way people so often decide on some arbitrary line of demarcation that acts as a boundary we then choose to respect. We thus end up with geographic boundaries for our cities, counties, states, and nations. We have boundaries for races, genders, ages, politics, and religions. We set boundaries for what kind of news and scientific reporting we consider legitimate. These boundaries seem quite real to us when we’re closely involved in whatever is being divided up–but as soon as we get some distance between ourselves and whatever is being divided up, we can find ourselves hard pressed to explain why any particular dividing line was so essential. While these lines may seem benign, they can contribute to serious problems. One of my friends explained how she’d conducted a search for an African American computer engineer employee a few years ago. She’d thought finding a black programmer would be fairly straightforward, and was surprised to discover that was not the case. When she finally found and hired a young black man, she asked him why he thought there were so few blacks involved in Information Technology. He replied that African Americans, “just don’t have the required skills.” While this young man clearly believed this to be true, my friends and I were aghast at how such a thing could be. Even if young African Americans are not provided with requisite skills to be accepted to college computer science programs—what belief system is contributing to this situation? At some point there must be an artificial line of demarcation—some point where those fit to learn computer programming skills may proceed onward and upward, and all considered to be “unfit” may not. While QM itself gives many observable examples of the fluidity and variability of our realities what is being developed as quantum computing does not. That’s because it has been developed in a “put new wine in old bottles” fashion. It uses binary as base. So in classical computing a bit can be in one of two states 0 OR 1. A qubit can be in one of three states 0 OR 1 OR (0 and 1) – the state of superposition. Of course computers have to be practical so such an approach, limited though it may be, makes sense. It’s like the cat in the box. The example was given using only alive and dead. But in actuality a superposition can be and usually is more (alive|dead|male|female|tabby|calico|etc) Superposition is the confluence of two or more seemingly discrete states. But our thinking at the moment is strongly binary. Hence our creation of digital as being the foundation for our current approach to computing. I replied to this email message stating that I agreed with the point about there being a bias toward viewing the world with a bias toward binary / classical operations. I love the example of Schrodinger’s cat not simply being alive or dead (which is essentially a throwback to binary either/or classical thinking), but rather “alive, sickly, pregnant, old, young, dead, etc.” And the way that quantum logic was initially described contains classical binary bias, with the “von Neumann cut” being the imaginary line by which one supposedly can determine whether to employ Classical or Quantum physics equations. But what if this arbitrary line of demarcation is just as artificial and man-made as all of our other artificially constructed boundary lines? What if the scientists seeking a Theory of Everything (TOE) one day prove that all of the physical world is ruled by quantum physics laws and equations, and classical physics is just a limited, special case? As far out as that may seem, a growing number of scientists are writing research papers and proposing theories stating just that. Classical logic is a special case (subset) of quantum logic. Illustration from Cynthia Sue Larson’s paper, Primacy of Quantum Logic in the Natural World. I published a paper, Primacy of Quantum Logic in the Natural World, pointing out something similar to what the person who emailed me is saying–that we need true quantum logic, and not warmed-over classical Boolean logic approaches that won’t ever get to the heart of the essence of true quantum logic and phenomena. As I explain in my paper, quantum logic and phenomena appears to be the larger set within which classical physics and logics resides, and not the other way around. It is thus incumbent on us to pay better attention to the natural world in order to learn to recognize the natural order of quantum logic all around us, including occasional evidence of reality shifts and quantum jumps demonstrating Evidence of Macroscopic Quantum Phenomena. Quantum computing represents the beginning of a truly new form of technology, thus indicating that we’re now entering the Quantum Age. The aspect of quantum computers I find of secondary interest is that in order to build quantum computers, we require quantum phenomena occurring on a macroscopic scale, as well as a true understanding of quantum logic. Thanks to the work of researchers in the fields of quantum biology, quantum cognition, and quantum cosmology–such as Johnjoe McFadden, Jerome Busemeyer, and Yasunori Nomura who I’ve interviewed in my blog and my Living the Quantum Dream radio show–we can now start to recognize that Nature is already utilizing quantum logic, and Nature already shows evidence of quantum phenomena occurring on a macroscopic scale. The photosynthesis of plants has been proven to be a quantum process happening in a warm, wet, “noisy” biological environment where such things “weren’t supposed to happen,” yet clearly they are. And fortunately for us, it increasingly seems more and more clear that rather than living in a binary, limited, boundary-constricted world—the natural world is likely much more unrestricted, open, and quantum in every way. One of my first and most influential mentors as an author and consciousness researcher has been Edgar Dean Mitchell, the sixth man to walk on the moon, founder of the Institute of Noetic Sciences (IONS), and author of Psychic Exploration and The Way of the Explorer. I felt blessed to be able to see Dr. Mitchell in person at an IONS event in California in February 2010, where he was the guest of honor. I loved chatting with Edgar that chilly evening at the Chabot Space and Science Center in Oakland about the remarkable speed of technological advances over the past hundred years. He told me how amazing it is that his grandfather had crossed the United States of America in a covered wagon, his father was born soon after the Wright brothers made their historic first flight, and then Edgar walked on the moon and made it safely back home to Earth on Apollo 14. This was even more amazing, because Edgar’s Apollo 14 mission immediately followed the nerve-wrackingly problematic Apollo 13. I first got to know Dr. Mitchell via email correspondence that began sixteen years ago, in March 2000. When we first began our correspondence, we commiserated about the challenges of the publishing world, and shared our ideas regarding the connection between consciousness and the physical world. Dr. Mitchell provided me with his honest assessment of my manuscripts, and helped me envision a positive future for humanity on our beautiful blue-green planet, Earth. I was immensely grateful to hear this good news that one of my heroes and mentors was able to walk his talk and experience for himself the healing power of positive shared intentions, energy, and consciousness. Edgar Mitchell (1 April 2000): The Bohmian approach that Sarfatti uses and calls post quantum mechanics has a lot of merit, but consciousness events only reach maturity in the complexities of group theory and Lie group algebras with macroscale objects, not theories of individual particle (although the phenomenon must find its antecedents at the particle levels). The fact that “information” is now finding its rightful place in physics, on a par with energy, as I suggested in “Explorer”, is being anchored by the quantum hologram research which is an information mechanism that allows one to say that the quantum hologram is the wave side of the wave particle duality for macro scale objects–it is non local, geodesic form (3 dimensions) that carries the event history of the macro scale object in its phase relationships, and remains in phase conjugate adaptive resonance not only with its associated object but can be perceived nonlocally by other sensing objects that can create the phase resonance relationships. If we begin to understand that “information” in form of the quantum hologram is nature’s answer to quantum nonlocality in the macroscale world, then we are getting close to why we have subjective experiences. Nonlocality is the key that no one really understands well,– yet. All these weird “realities” you are discussing have a nonlocal component. I just finished reading your excellent article titled, “Nature’s Mind: the Quantum Hologram.” This article is the most coherent and convincing case I’ve yet seen for the quantum holographic model, and one of the best papers I’ve ever read on the subject of consciousness. Your paper seems to effortlessly weave together current threads of thought from recent research, making for very easy reading. I am quite impressed with it, and very thankful to you for sharing it with me! energy transfer mechanism for these shifts in macro reality, I am hoping that a better understanding of clusters of entangled quantum particles… and also a better understanding of string theory, with it’s many “curled” dimensions… will soon provide us with a better idea of what this mechanism might be. I am feeling the greatest sense of optimism about the physics experiments being conducted to show how entangled pairs and clusters of quantum particles move simultaneously across great distances of space. Perhaps we’ll soon see that there are similar connections across time. The beauty of the quantum holographic model is that it provides us with a very clear visual analogy for how these unseen forces may be operating around us. I also am very curious to know how we might expect reality to behave when we begin with the assumption that there are ten dimensions around us… most of which are tightly curled and for the most part, invisible to our normal senses. An uncurling of curled dimensions simultaneously in two locations may be at the heart of the mysterious mechanism behind reality shifts. I also greatly enjoyed your shorter article, titled “Space Flight as an Anticipatory Computing System”. This article was wonderful, because of the powerful human interest component. It’s always a sheer delight to read about your experiences with the Apollo missions! Cynthia, thanks for the nice comments. You are right, there is still a lot of mystery going on at that level. But let me give you my slant on it. 1) the inanimate object case is even more tricky than the living systems case. Why?, Because it is easier to imagine (picture) resonance between two living objects, than between vastly dissimilar objects–humans and rocks, for example. With humans, for example, if resonance is established, information may automatically be transferred without significant energy exchange, and the energy of the recipient is used for healing (for example)–just like in the case of a musical sound causing a glass to break at a distance—–it is not the energy transfer that is important, but rather the frequency that causes the glass to resonate faster than the chemical bonding of the glass can tolerate. So thought can create a resonance at a distance so that information is available. However, physically, displacing an macro object in 3 D space seems, (at first glance) a little more difficult because we are accustomed to thinking that it requires energy to move things around. However, particle nonlocality, between similar particles, is also just resonance–but they are similar particles and it doesn’t matter which one is A or B, they are each equally causal and entangled with the other. How that same principle applies to objects of dissimilar scale size is still a bit murky. Perhaps you are right that multidimensional strings may provide some answers. I will state strongly that I am not convinced about that, as I think multidimensional concepts, while exceedingly brilliant mathematics, elegant and satisfying, can’t really be validated. Even Einstein’s curvature of space is really more easily explained by a non-isotropic, non- homogeneous Zero Point Field. At least at the macro level, there is nothing to curve. I believe we are still in large measure confusing the map with the territory in physics. But you are completely correct, nonlocality, resonance and entanglements are clearly the subjects for the next few years of study. 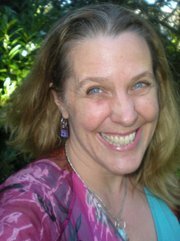 Thank you also for sharing your perspective on difference between inanimate and living systems reality shifts. I certainly feel much more affinity for people and animals and plants I love than for inanimate things, and the reality shifts I’ve managed to “perform” have so far been confined to this realm of those I love who are alive. On the other hand, I know of people who routinely shift reality with inanimate objects (such as spoons), so I’m still investigating both kinds of reality shifting. I definitely agree with your sense that it’s important to not confuse the map with the territory being explored! That’s a great analogy, and so true. Very often it’s hard to notice when our own beliefs and assumptions are interfering with perceiving reality as it truly exists. The very words, ideas, and metaphors we use for comprehending the world can hamper our complete understanding by unnecessarily limiting our world view. I’m intrigued by your sense that we may find it difficult to experimentally validate string theory. I’m feeling optimistic about that right now, since I’ve heard that there are currently a few possible ways that such experiments could be conducted. One idea, proposed by Giovanni Amelino-Camelia of the University of Oxford and the Institute of Physics in Neuchatel Switzerland, suggests that gamma-ray bursts can be used to check whether the speed of light in a vacuum depends on its wavelength. Special relativity theory states that light has the same speed in a vacuum regardless of wavelength… so if wavelength-dependent speed of light is observed, we would be witnessing a level of physical law more fundamental than relativity. A second way to experimentally validate string theory would be to detect minute variations in gravity. We’d look for a time difference in the range of 10 microseconds for gamma rays that have traveled for some 10 billion years… which our current instruments may be able to detect. Yet another way that string theory may be able to be proven is if we can use the Large Hadron Colliders at CERN to make strings… taking advantage of the lower unification scales which would be expected from the ten dimensions, since the new dimensions could lower both the Grand Unification scale (as shown recently by Keith R. Dienes, Emilian Dudas and Tony Gherghetta of CERN) and the Planck scale (according to Arkani-Hamed, Savas Dimopoulos of Stanford University and Gia Dvali of the Abdus Salam International Center for Theoretical Physics in Trieste). Perhaps these ideas for testing string theory won’t work out, but the fact that there are so many experiments being considered is quite heartening to me! I need to correct my self. I agree with what you said about the experiments to validate string theory through speed differential of different light wave lengths, etc. I do agree that strings may be the form of basic matter. I am only objecting to the “interpretation” of the mathematics as multiple physical dimensions, just as I object to the Copenhagen and Many worlds “interpretations” of the equations of classical quantum theory; and just as I (now) agree with Halton Arp is his dissent from the Big Bang interpretation of red shift as being the sole reason that we observe red shift. Mathematics and certain basic theories can be and must be validated by experiments as “fact”. However, interpretation of what it all “means” usually is a map masquerading as a territory. And unfortunately, that happens continuously, and is communicated to the less knowledgable public which does not have the means to understand the errors. At the time of Edgar’s death, we had just been planning for him soon to be a guest on my radio show, Living the Quantum Dream. I miss Edgar Mitchell tremendously, though I am grateful that his legacy of thoughts, ideas, and community of consciousness researchers lives on. Thanks to Edgar’s foresight in recognizing a continuing need to explore not just the far reaches of space–but also the far reaches of mind–our world is an immeasurably better place for having had him in it. Joan wrote about her experience having been born in the 1940s and growing up with only one hand in her book, Bare-Bones Meditation, Waking Up from the Story of My Life. I especially relate to this definition of meditation, as well as Joan’s subsequent observations that meditation is listening–really, really deep listening. There can be strength in accepting who one is, even (perhaps especially) when it’s not socially popular, such as being a disabled lesbian in the 1960s. I can’t be helped but be touched by Joan’s life journey, filled with learning to face challenges with courageous dedication and commitment. I am deeply touched by the integrity and spirit it took for Joan to break through habitual thinking and truly walk her talk of becoming self-knowing and self-aware. It’s easy for most of us to become lulled back into complacency, resting on laurels of past spiritual accomplishment. It’s inspiring to see how for some people like Joan, fitting in simply is not an option–and meditative practice more than just something nice to do. It can be genuinely life-saving. I was pleased and honored to meet Joan Tollifson at the Science and Nonduality conference in San Jose, California. Joan gave a talk about “Being just this moment,” featuring aspects of her “bare bones” variety of Buddhism. 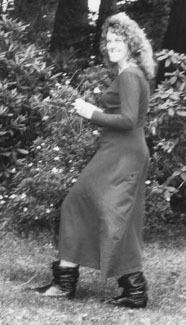 It seemed fitting to meet with her in the gardens at the Dolce Hayes mansion, where we were surrounded by trees, flowers, and the occasional hummingbird. I was honored to ask Joan what she feels she knows for sure that most people aren’t aware of, that could greatly benefit the world. You can see her response to my question in this YouTube video. If meditation is so good for us, why can it feel so hard to get started? You’ve most likely seen reports listing many benefits from meditation, recently have been scientifically proven to produce long-lasting improvements in mental cognition, problem-solving, and even increases in brain cell growth after just a few weeks of meditating for 20 minutes a day. Scientific interest in this topic has been steadily growing with no slow-down in sight; Google scholar lists over 5,000 studies citing benefits of meditation that have been published in the first seven months of 2015. Some of the advantages of meditation include: reduction of stress which in turn boosts the immune system, energy levels, and sense of wellbeing and equanimity; growth of grey cells in the brain and the hippocampus, contributing to better cognitive functioning and problem solving; lengthened telomeres, contributing to greater longevity and overall health. In addition to these and hundreds of more proven benefits of meditation, people who meditate also find themselves surrounded with happy coincidences and delightful synchronicity. Things just seem to go their way. So how can we get started meditating, when it’s something we’ve never done before? As in all matters of health and wellbeing, we can be our own best friends and supporters on a path to improvement, or we can be self-saboteurs. Since meditation is turning out to be as important to good health as sleep, diet, and exercise, it’s important to find ways to ensure we make time for it in our daily lives. And just like choosing diet and exercise programs that work best for you, a meditation program will be most rewarding and effective when it’s well-suited to your individual strengths, style, and preferences. And when it’s fun! I’ve found that one of the best ways for me to stick with my commitment to daily meditation is to practice the types of meditation I most enjoy. There are so many types of meditation to choose from–yet I know I’ll actually do the ones that feel just right for me, because I feel like they’re actually fun! This tactic is a bit like “whistling while you work,” but it’s actually even better than that, because when I choose types of meditation I like to do, meditation isn’t a bit like work! Here’s a quick way to zero in on finding the best meditation technique for you. First, choose a favorite physically relaxing activity, and then select a favorite mental focus. When you combine these two, you’ll have a customized meditation technique that is just right for you! To get started, honestly complete two sentences: (1) One of my favorite ways to relax is _________________ and (2) I most enjoy focusing my attention on ___________________. It’s helpful to take a look at examples of some different ways people might answer these questions, to give you an idea of how to construct personalized meditations, starting with the idea of taking a look at your favorite way to relax. And yes, simply doing whatever activity you find most relaxing can count as a form of meditation! People who enjoy walking can develop their own form of walking meditation. Some people count their breaths as they walk, others simply let go of their worries with each deep breath, and still others observe their thoughts go by without pursuing them. What sort of mental focus appeals to you? Whatever mental focus most appeals to you is the one to try. Some people prefer to mull over various thoughts of the day, while others find a sense of nirvana in getting to a place of inner harmonious peace in which thoughts and feelings are cleared away as they show up. Some people feel relaxed by paying attention to bringing awareness to physical activities such as breathing, and take care to breathe more slowly and deeply to the lower abdomen. If you don’t know what you prefer, then try out various ways to focus your attention until you find one that feels best to you. This is really all there is to it… just combine one of your most relaxing activities with one of your most relaxing mental focuses, and you are meditating! You can even come up with a few favorite meditations, such as one that works best when first awakening, another one to do while showering or brushing your teeth, and yet another to do while taking a walk. If you try one meditation and find you don’t like it, then try another one. You can find something you like, so don’t give up! Could you use a little extra help getting started with meditation? Or perhaps you could benefit from meditation assistance on days that are more challenging. Some people find it’s easiest and most enjoyable to meditate with assistance from recorded meditations. 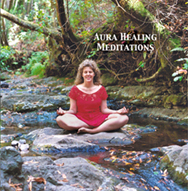 My Aura Healing Meditations are available as an autographed CD through the RealityShifters website, as MP3 audio files, and tracks on iTunes and Amazon, and can be played to create a positive healing environment any time you wish to reduce stress, enhance your energy field, improve your health, and increase your effectiveness. How can we set attainable goals when we’ve not yet experienced success? While we might hope that we can simply “power through” with whatever goal we have in mind, it is helpful to know what kind of results are realistic when facing new, uncertain situations since some of the things we’d most like to experience can feel the most out of reach. Since any kind of quantum jump is theoretically possible, and quantum jumping is completely natural, how can we tell which quantum jumping goals are realistic? While most of us deem some kinds of instantaneous transformation to be more believable than others–tending to expect smaller quantum jumps, while considering some larger jumps to be impossible–the truth is that Nature operates with discontinuous ‘jumps’ occurring on a regular basis, as quantum biologists are beginning to realize. Our conscious mind is like the tip of an iceberg, with the vast majority of what goes on happening below what we can readily observe. Without support from our subconscious believing something to be possible, we can waste energy fighting inner battles that result in outer signs of getting stuck, delayed, or diverted. When we observe thoughts and feelings conflicting with our goals, we can gain insights into how to be more open-minded to new possibilities, as we revise our goals as need be to best ensure our success. With regard to setting quantum jumping goals, best success comes from focusing attention on asking for what is truly best for on all levels of our being–not just what we think is best from our heads. Most of us do not go through life feeling fully aligned with a sense of one harmoniously focused intention, and instead are accustomed to feeling inharmonious conflicting desires as “normal” in our daily lives–yet happiness and life satisfaction come from experiencing harmonious alignment with all levels of awareness. Examples of goals that look great to our heads, but might not feel doable to our hearts and guts could include things like: losing thirty pounds, finding a wonderful romantic partner, or starting a new business. There’s a degree of ongoing commitment to many goals, which can mean our internal areas of conflicting beliefs can wreak havoc if left to their own devices. Rather than unexpectedly experiencing worries, doubts, misgivings and fears, we can learn to thrive by listening to many levels of awareness (such as head, heart, and gut), while nurturing belief in positive possibilities associated with realities we’d most like to experience. Each of these levels of awareness has important information that can be most helpful, when we go through the various carrier emotions to tune in the information being conveyed. In terms of quantum jumping goals, emotions of love, compassion, and enthusiasm are capable of transforming other emotional energies levels where we can more easily imagine how good things can get, without fixating on what might go wrong. Listening to levels of consciousness with these high emotional energies can thus help ensure we’re more likely to experience success, without succumbing to doubts, worries, and fears. Peak results and experiences occur when we’re “in the zone,” free from various forms of stress and tension in our bodies, minds, and spirit that we sometimes become accustomed to feeling. Top athletes know the importance of experiencing being “in the zone,” because optimal peak performance is associated with achieving and maintaining a state of harmoniously aligned awareness. Remembering times when we’ve been “in the zone,” can be helpful to remind us of how good it feels when our heads, hearts, and guts are aligned with one goal in mind, providing a sense of moving through life experiences with effortless ease. When preparing for success, it helps to remember success of any related experiences we can feel emotionally vested in. The stories we tell ourselves and others greatly influence our beliefs, since our subconscious listens to everything we say and think, and takes a great deal of it very literally. Just as researchers last year were stunned to discover the extraordinary positive effects of placebo sleep, in which people felt and performed better when they believed they slept well, even when they hadn’t–our bodies are much more willing and able to cooperate with our minds than most of us have ever realized. We can help ensure future success by finding aspects of wins from the past that are related in some way to the reality we are now envisioning, while simultaneously experiencing that flow state of “in the zone” feeling. Telling ourselves such positive statements as, “Everything is working out perfectly” can do wonders! Kathmandu’s “Kung Fu Nuns” sprang into action after an earthquake in Nepal even while the first earthquake tremors rocked and broke the walls, thanks to years of body-mind-spirit conditioning, dodging pieces of falling wall and escaping, despite never having practiced such an exercise before. One of the reasons martial arts masters train as regularly and heavily as they do has to do with conditioning their minds to becoming aware that their physical bodies often do extraordinary activities, while enhancing the smooth coordination between mental thoughts and physical actions. The subconscious thus becomes conditioned to be more flexible and agreeable when urged forward by the conscious mind, able to do first envision and then do extraordinary things for the first time, regardless of any prior specific expertise in those areas. We can develop mind-body-spirit agility by considering what reality we’d like to experience in the future, while recalling joy and gratitude of the past. Imagine our future selves feeling overwhelmed with thankful happiness as we look back at this very moment. Feeling such waves of appreciation in connection to seeing ourselves doing whatever needs to be done, weaving a thread from an optimal future possibility through the web of all possibilities to this moment, now.